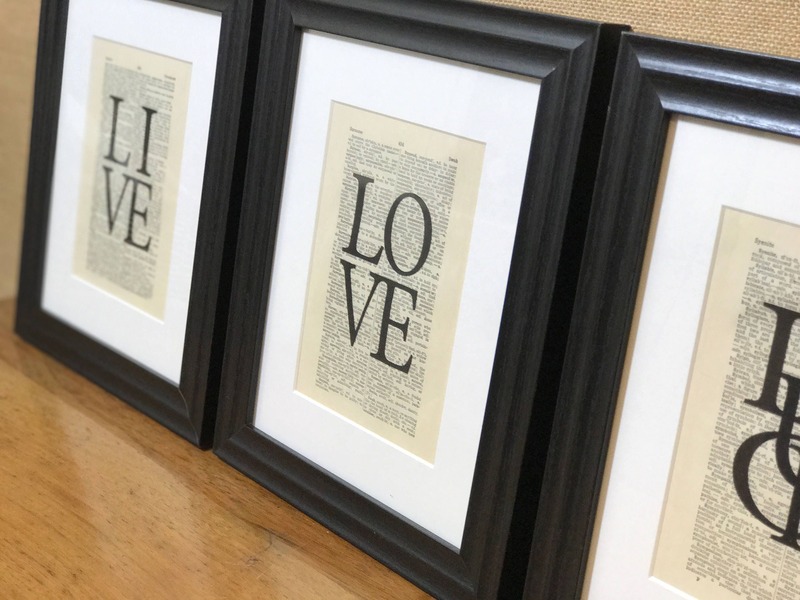 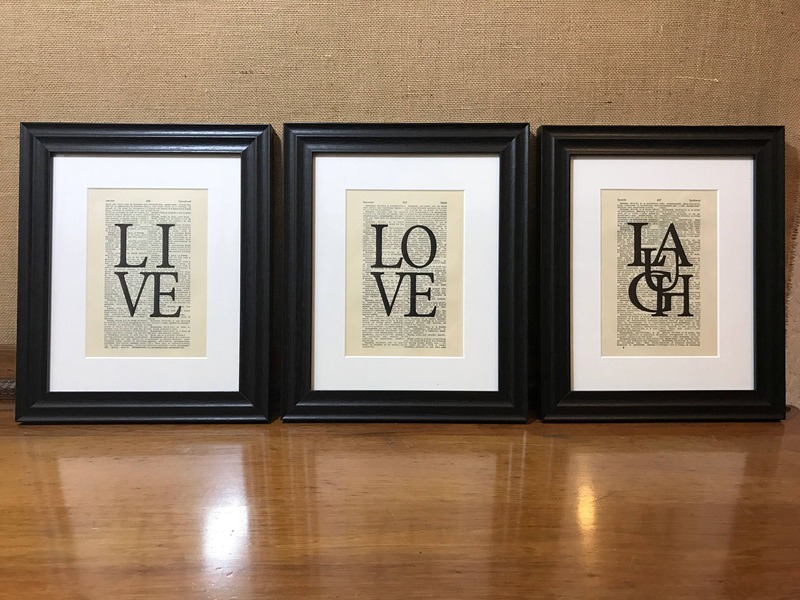 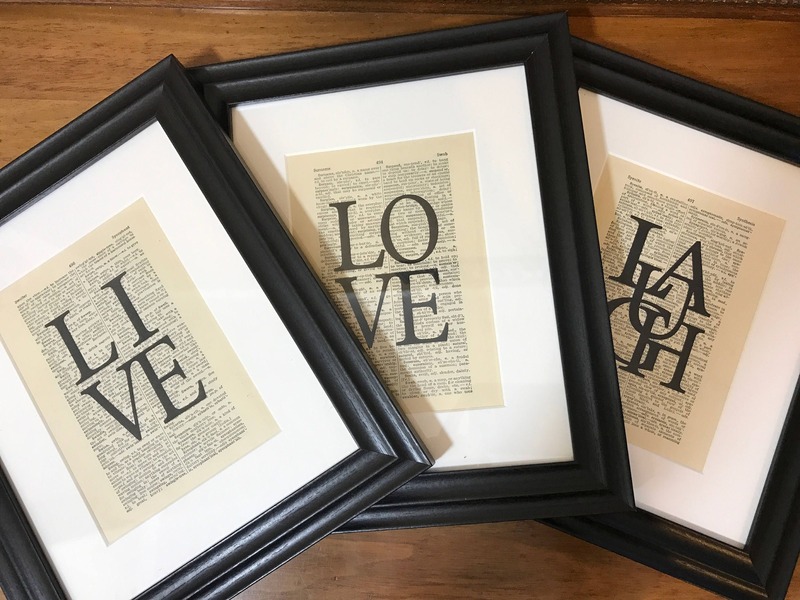 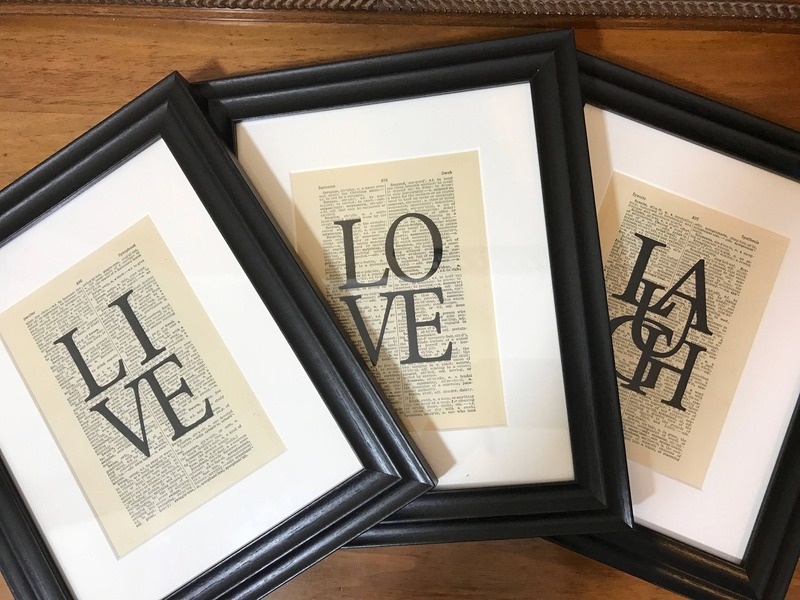 Set of 3 black framed dictionary prints with the Inspirational life quotes LIVE LAUGH LOVE. 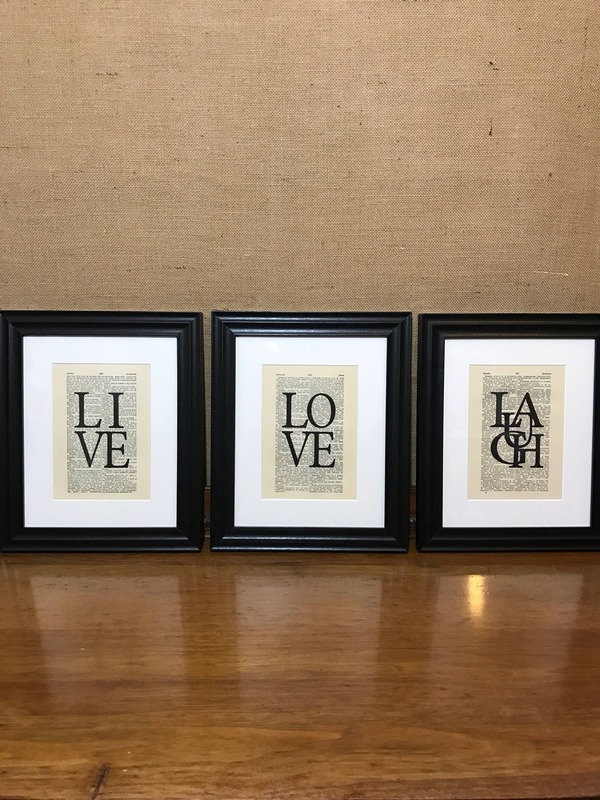 + Each page is unique as no two dictionary pages are the same. 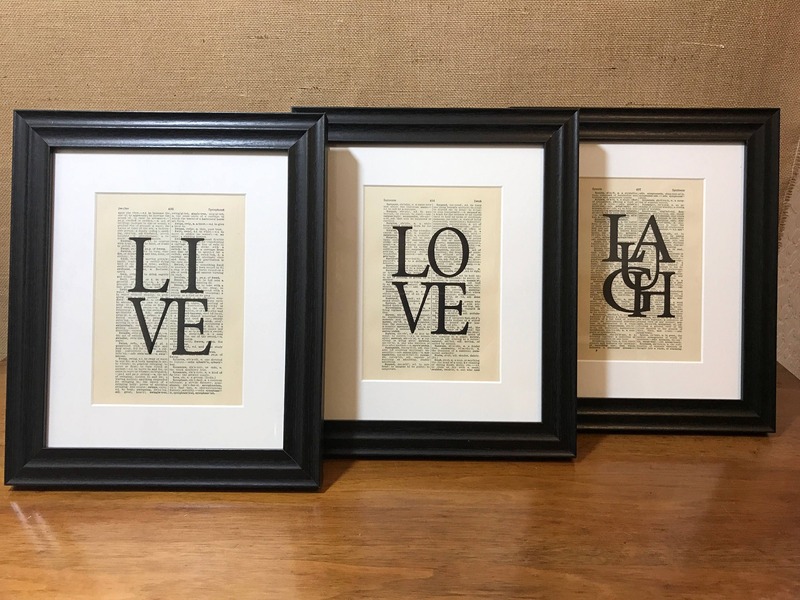 + A wonderful SET OF 3 frames print that will inspire your day! 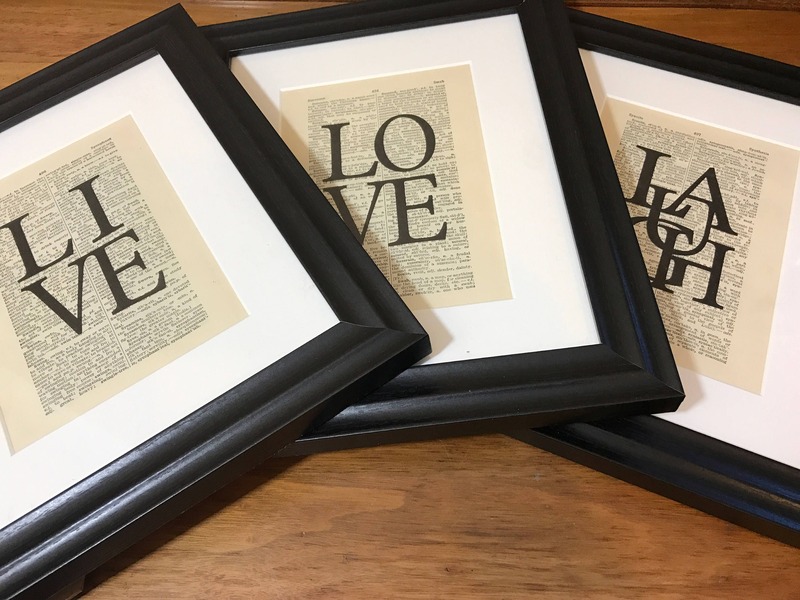 Would make an ideal gift for Christmas, new home gift, house moving gift or simply a beautiful piece of home decor to treasure. 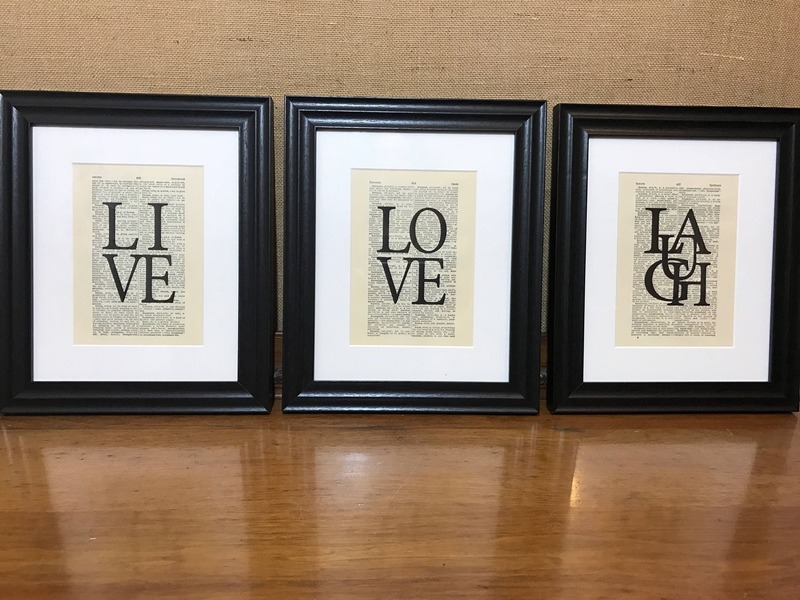 + 8" x 10" mounted dictionary prints. 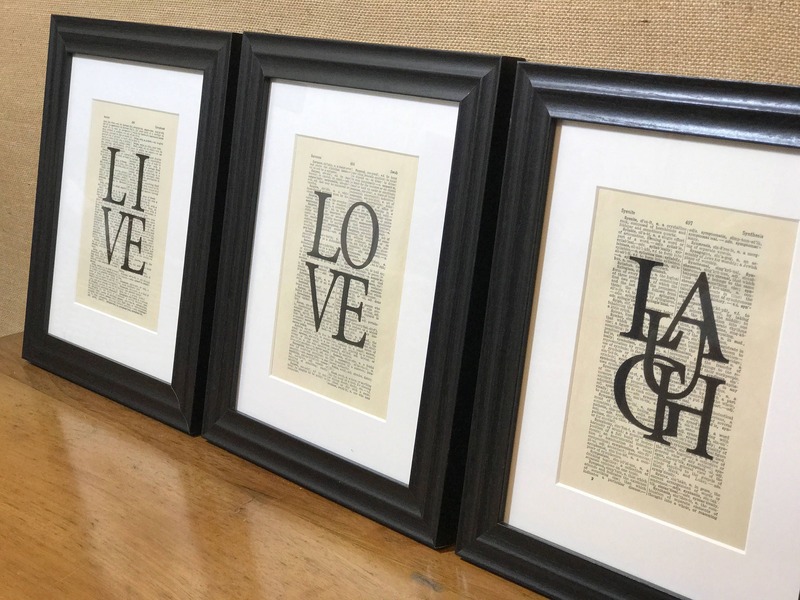 + All frames come ready to hang with wall fittings or can stand. 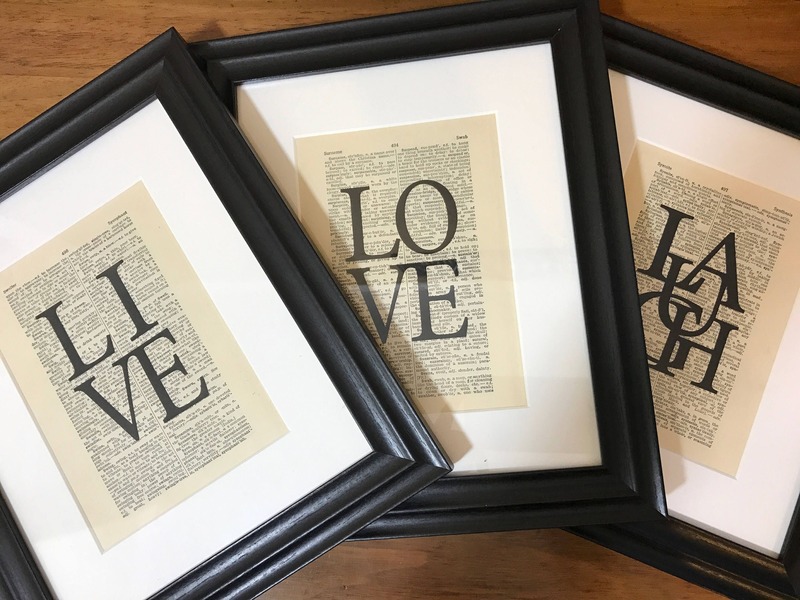 *This item was truly stunningly made great value for money and very kindly kept it for 3 weeks for me until I was ready best I have ever dealt with thanks so much wish everyone was as kind as you!